Product information "Hyaluronic Capsules 3 x 90 pcs." 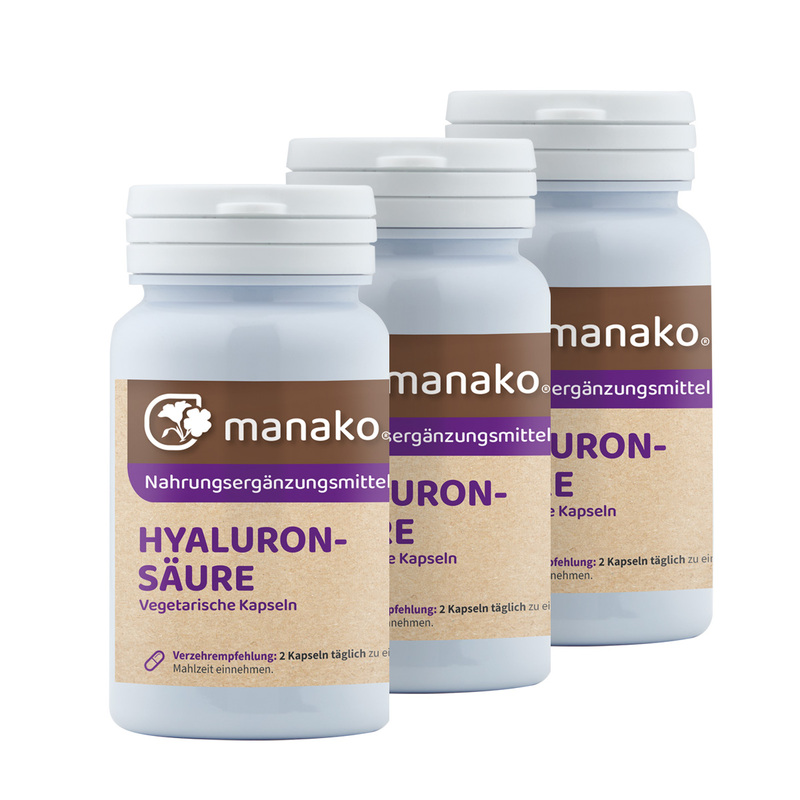 Special Offer: 3 x manako ® Hyaluronic Capsules 3 x 90 pcs. Hyaluronic acid is naturally found in the human body. Skin and connective tissue contain the highest concentration of hyaluronic acid. With increasing age the concentration of natural hyaluronic acid in the skin is sinking. Hyaluronic acid attracts and holds water and therefore works by acting as a cushion and lubricant. It is very popular as an ingredient in cosmetic formulations. Curcumin with BioPerine® Capsules 120 pcs.